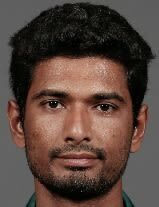 Mohammad Mahmudullah was born February 4, 1986 in Mymensingh, Dhaka. He is also known as Mahmadallah or Riyad, is a Bangladeshi cricketer. He has played First-class and List A cricket for Dhaka Division and has represented Bangladesh 'A' in all forms of the game. An all-rounder, he is a lower or middle-order batsman and an off spin bowler. Mahmudullah was called up for Bangladesh's ODI squad for the 3 matches against Sri Lanka in Bangladesh's tour of the country in July 2007. He made his debut on the tour, in the third ODI, where he was Bangladesh's second highest scorer (with 36) and also took 2 wickets, in a match Sri Lanka won by 39 runs. He went on to be picked for Bangladesh's squads for a Quadrangular Series in Kenya in 2007 and the 2007 Twenty20 World Championship. Mahmudullah is a talented allrounder capable of bowling tidy offspin and giving the cricket ball a good hit. Having played the bulk of his first-class career for Dhaka Division he was called up to the Bangladesh A side. Good displays with the A side earned Mahmudullah a maiden ODI cap during Bangladesh's tour of Sri Lanka in July 2007, during which he hit 36 and took 2 for 28 from five overs. Find Mahmudullah profile and stats of batting, bowling and fielding including latest updated news of Mahmudullah, videos and images at Hamariweb.com. Also find detail Player profile and career statistics of Mahmudullah of Bangladesh. 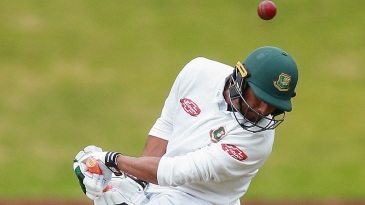 Mahmudullah - Find Mahmudullah of Bangladesh Cricket Team complete player profile, number of matches, runs score, wickets & catches, Statistics, Records, Mahmudullah Latest News, Mahmudullah Videos, Mahmudullah Photos, and other Mahmudullah Cricket Team players.